In 2010, British artist Mark Neville was commissioned by firstsite Colchester and the Imperial War Museum to spend two months with the 16 Air Assault Brigade in Helmand province, Afghanistan. A selection of the works produced during his time there are on show at IWM London until 25 September. Neville believes in ‘the social function of art to effect change in the real world’. One may see him as an art activist, whether in his observations of class systems or denunciations of the careless handling of toxic waste. While he had never considered working in a war zone, this commission, Neville felt, was an opportunity to bridge the gap between the media’s depiction of conflict and its reality, and question why we go to war. 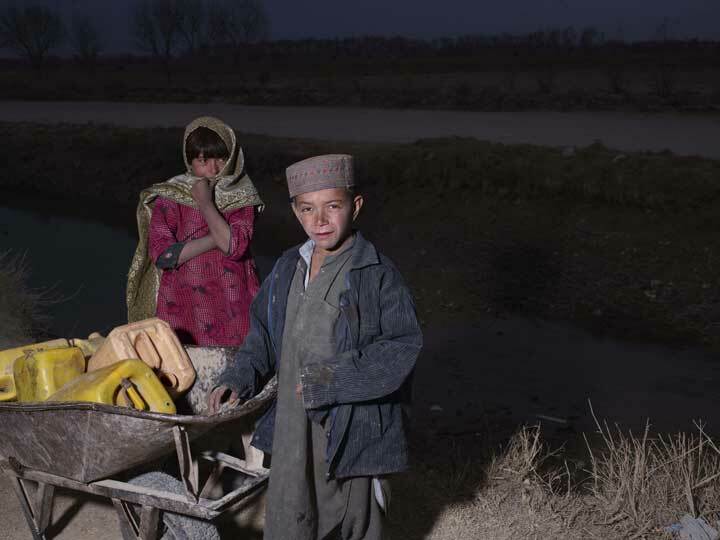 Using analogue rather than digital technology, Neville sought to capture the banality of life in Helmand, and offer alternative viewpoints to the conventional lens of war reportage. The core of this project is three 16mm silent films played in slow motion. 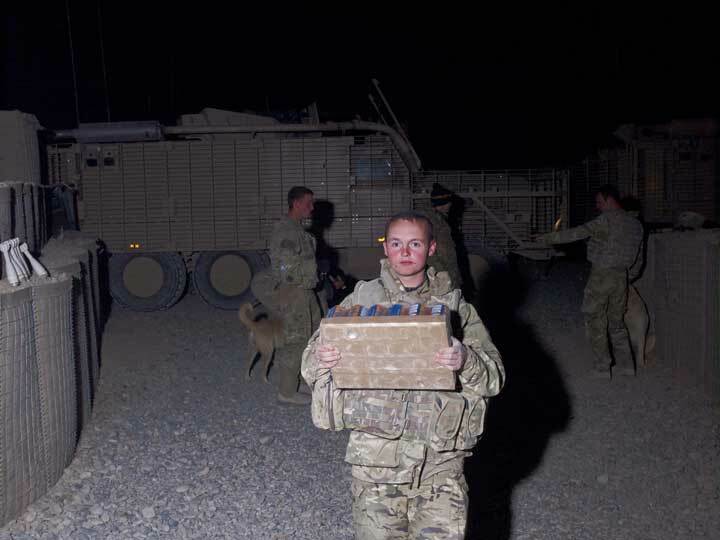 Shot from a ‘Husky’ armoured vehicle, Bolan Market shows that trade has resumed after the Taliban’s withdrawal from Lashkar Gah. The Kodak colours of the film exquisitely render the pastel hues of fruits on market stalls. By contrast, the shadow of the Husky’s gun, hovering on the produce and the faces of the market-dwellers, appears more as a symbol of violence than one of protection. The footage lingers painfully on the expressions of the men locking eyes with the artist and his camera: some welcoming, others visibly hostile. More than being shot at, or the relentless explosions of shells and mines, the few minutes spent in Bolan Market remain Neville’s most vivid memory of his time in Helmand. Bolan Market expresses, he says, ‘the gulf between myself as a war artist, hosted by an occupying force, and a local people ravaged by poverty and war’, a chasm all the more challenging for an artist whose work is about engaging with people and their communities. The film’s rhythm and the uncomfortable absence of sound convey Neville’s feeling of ‘being trapped in a silent nightmare’. The inappropriateness of his presence and of our watching is reinforced by the odd angle from which the scene is observed. What is most striking, perhaps, is how, faced with the powerful gaze of the film’s subjects, the artist/viewer becomes, in a reversal of long-established orientalist conventions, the ‘Other’. For Backdrops, Neville selected images of conflict from the IWM collection, from (fittingly), John Burke’s black and white photographs of Britain at war in 19th-century Afghanistan, to famous paintings by Paul Nash and John Piper. Reflecting that we have become as immune to iconic images of war as we have to those of the Afghan conflict, Neville made these collide with astounding emotional resonance. By setting a stage for his portraits (in much the same way as late 19th-century Western photographers would have in studio photographs of ‘Orientals’), Neville also illustrates the continuity between present (foreground) and past (background). He sees the subversive act of filtering out information – keeping the eye of the camera on the backdrop and its sitters, instead of turning to the action, the bombs exploding in close-proximity – as a catalyst to look at conflict afresh. And there is an eerie quality to these slowly unfolding, transitory moments: children blowing bubbles against a domestic setting from another era; an old man removing his turban against a field strewn with canons; British paratroopers, one removing his bullet-proof vest, another with a rifle, posing against the timeless view of a fort. Their uncomfortable looks speak a million, unsettling, words. 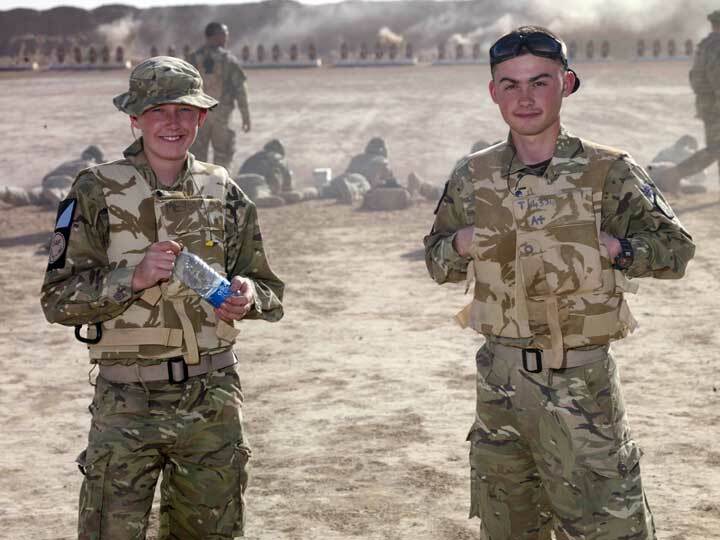 Seven photographs of Afghan children and British troops in their late teens, growing up side by side yet estranged, serve as a sort of coda to the films. 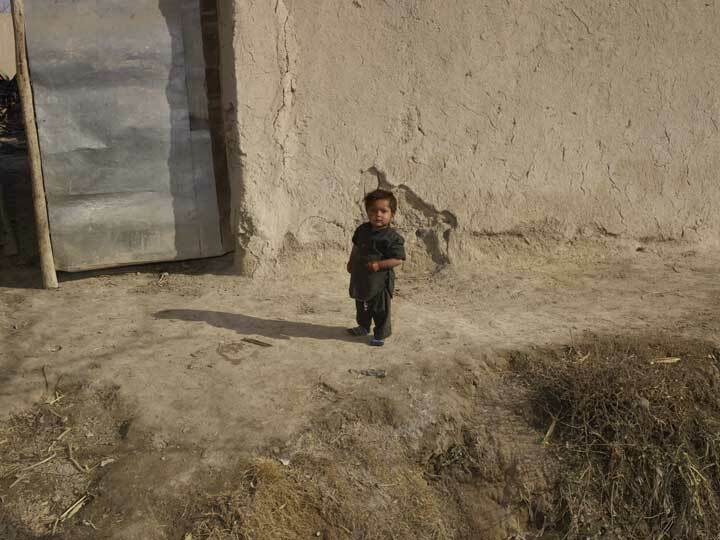 Neville was subjected to a punishing schedule of exhausting patrols, when children would appear out of nowhere in the barren landscape, unaccompanied. Their hauntingly adult stares reveal how the nightmare of war has forced them to grow beyond their years. Conversely, the British troops, barely older, still retain a boyish, almost naïve expression that seems far removed from the seriousness of their situation. Remaining embedded in his mind for over three years, the Helmand project was to profoundly affect Neville, who speaks candidly about how ill-prepared he was for a warzone, and how ill-supported he felt afterwards. And perhaps we, as viewers, are ill-prepared for the difficult questions his work throws at us. If Neville’s frustration that the project is only exhibited now that the British troops are pulling out of Afghanistan is understandable, its current relevance is all the more poignant. Its significance acquires greater depth in the recently reopened IWM, in close-vicinity to art commemorating the First World War and photographs recording frontline support in Afghanistan. And, in this year of commemoration of a war that shattered human bodies and hopes alike, while images of children suffering from the folly of men continue to proliferate in every day’s news coverage, one wonders whether we will ever learn to live in peace. Mark Neville will be speaking about his work and experiences at the IWM on 13 September. The Tate has been in the firing line in recent years; is recent criticism comparable to the infamous ‘Tate Affair’ of 1952–54? Should photography in museums be allowed? The relationship between photography and museums is a vexed one. Do attitudes need to change?